Through much of my life, Lancelot ‘Capability’ Brown has been just a few steps away from me……….I wonder how true this is for other people? Whilst a boy, I would pull my father’s golf trolley around Belton Park in Lincolnshire, now a National Trust property, where the landscape had been laid out by William Emes, a follower of Brown. Whereas Brown built vast landscapes for the top echelons of the English aristocracy, Emes met the needs and demands of the wealthy squirearchy – in this case the Brownlow family who had made their fortune from sugar plantations in the West Indies. The calming smooth contours of the land, the serpentine lakes, trees neatly nibbled by herds of deer, and the way the park came right up to the grand entrance of the house impressed me deeply, even as a child, and I was aware how the surrounding landscape outside the park seemed dishevelled and second rate by comparison. 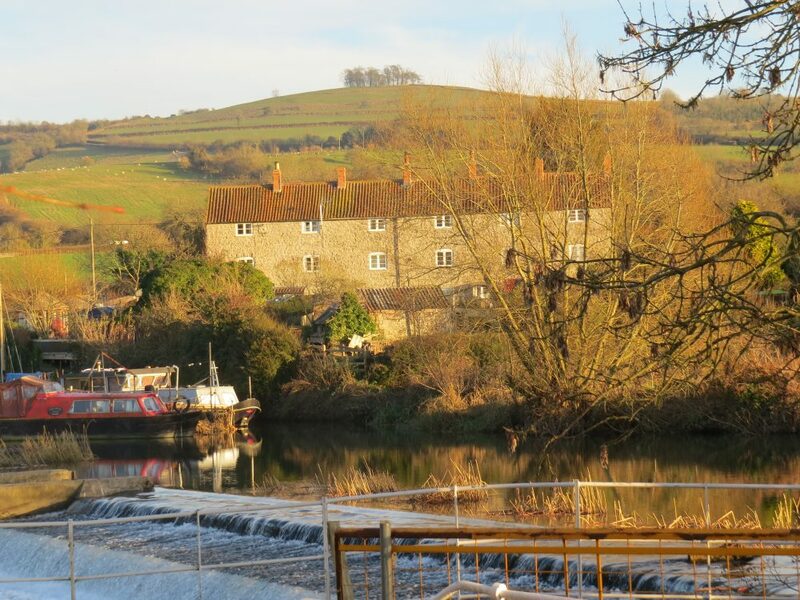 Kelston MIlls, the River Avon – and Kelston Round Hill – an ornamentally planted ‘eye catcher’ for Brown’s Kelston Park. The 18th century ride from Kelston Park House to the Round Hill was to view the magnificent sweep of the River Avon, and the distant Welsh Hills. A few years later, I found myself living at Kelston, just outside Bath. The surrounding park to the great house having been laid out by Brown for Sir Caesar Hawkins, the Serjeant-Surgeon to both George II and George III. Soon after I arrived in Kelston, park and house were placed under offer to a leisure developer to be commercially exploited; the park turned into a golf course, the house a conference centre, and a large marina built on its river frontage. This was a fate that had befallen several other Brown landscapes at that time. Like many of the villagers I was incensed and a small group of us started a campaign to save the park. After a tough fight we succeeded in seeing the developer off, Kelston being eventually sold to a successful local business man, and the Brown landscape saved. Summer 2013 saw my next brush with Mr. Brown. 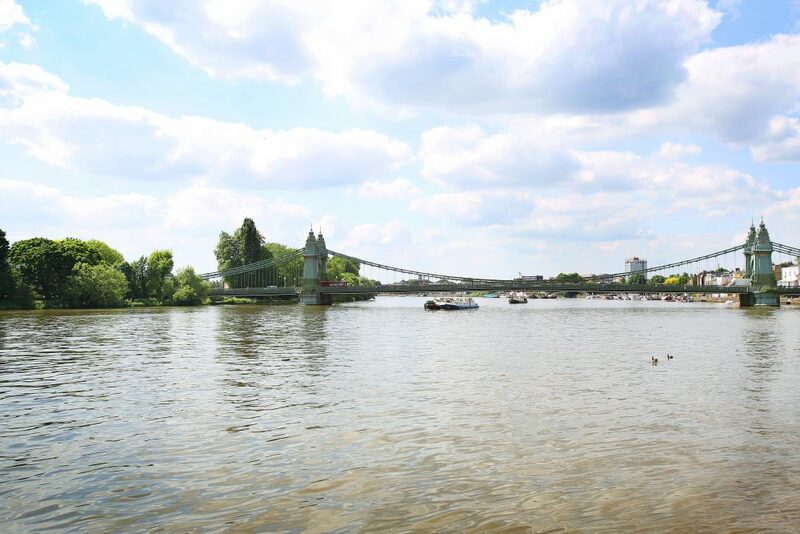 I was based in Hammersmith and surprised to discover that he had lived there, by the Thames, for thirteen years. It was during this time that he designed many of his greatest landscapes, such as Blenheim, Burleigh, Croome, Petworth and Chatsworth. Furthermore, the tercentenary of his birth, 2016, was fast approaching. Somehow, this event could not pass by without it being commemorated. I met the eminent Brown historian, John Phibbs, who told me of his plans for the Capability Brown Festival. 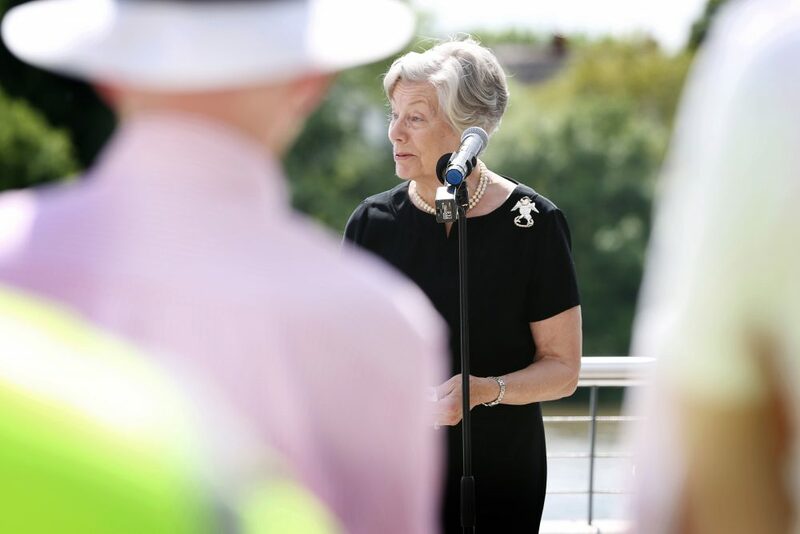 Supported by the Heritage Lottery Fund and chaired by the remarkable Gilly Drummond OBE DL, the Festival and its partner organisations master-minded a resounding success with events, exhibitions and media coverage. However, nowhere in England or elsewhere was there a statue to Brown. 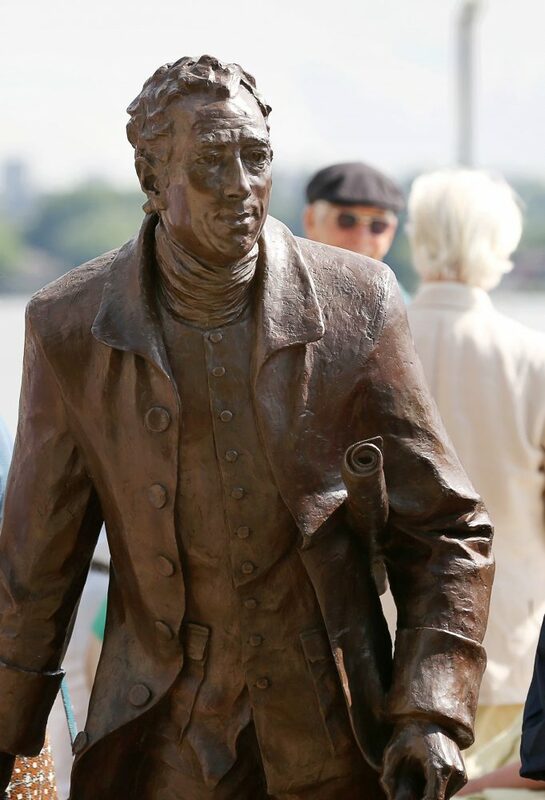 This galvanised me into action, and Hammersmith’s Capability Brown statue project was borne. With support from both John Phibbs and Gilly Drummond, the project proved to be a roller coaster, with various sites put forward and dismissed by local objections. We built up a small determined and passionate team consisting of myself, Rosemary Pettit a fellow enthusiast with wonderful local lnowledge and formidable skills, and the talented internationally known sculptor Laury Dizengremel. 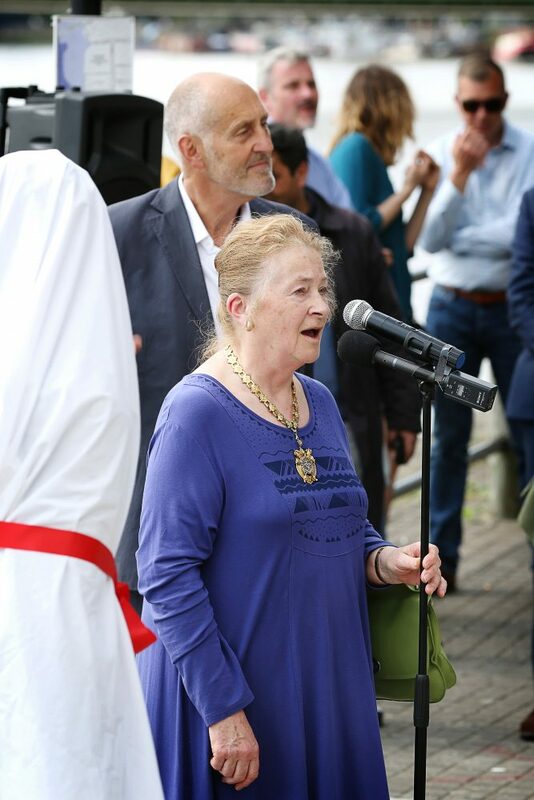 The Leader of Hammersmith and Fulham Council, Cllr. 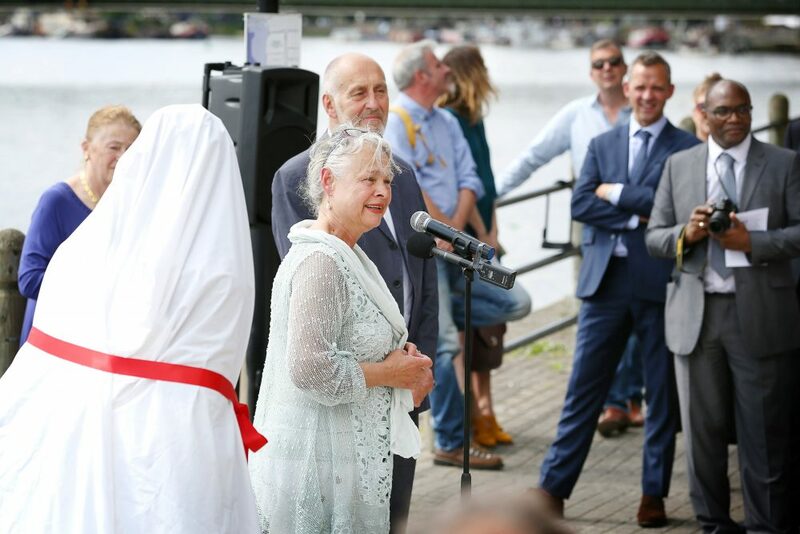 Stephen Cowan was a very enthusiastic supporter of the statue project, and it was to him we turned on several occasions to free up the inevitable planning logjams. A river side site received planning approval from the council in December 2016. The bronze life-size statue was cast at the foundry used by Ai Wei-Wei in Chengdu, China, and shipped to England, where it went on temporary display at the Trentham Estate, a recently restored Brown landscape, before its permanent move to Hammersmith. We were thrilled at the generous response to our request for donations from private and charitable donors, owners of Capability Brown gardens, and local businesses. 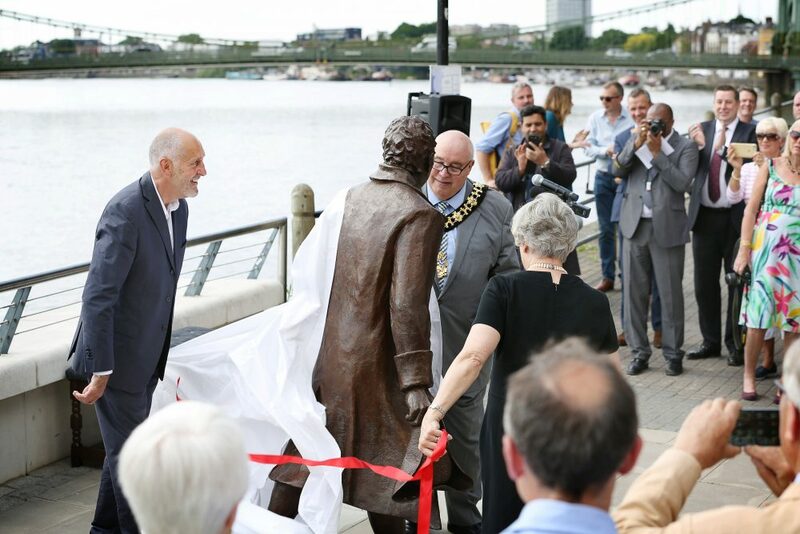 On 24 May 2017, in front of a large crowd of local people and Brown supporters, the statue was unveiled by the Mayor of Hammersmith and Fulham, Cllr. Michael Cartwright and by the Chairman of the Capability Brown Festival, Gilly Drummond OBE DL. 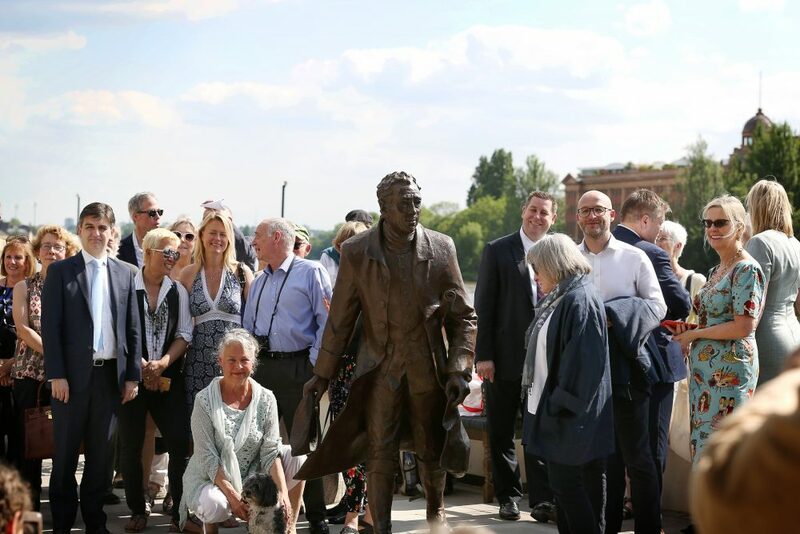 The statue is a permanent, national and public legacy to this great man and has already been taken to heart by the people of Hammersmith. Capability has at long last taken his rightful place alongside those other men and women of national importance that have shaped our culture. 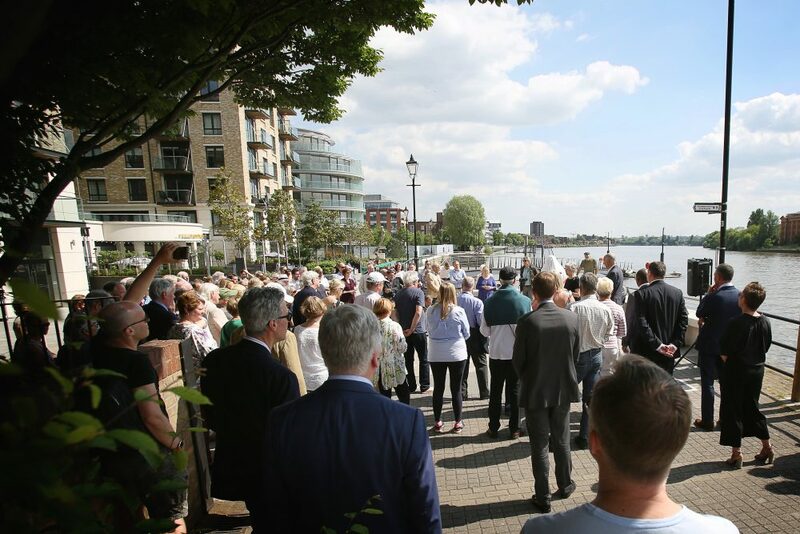 The site of the statue is Distillery Wharf, Chancellors Road, Hammersmith, London W6 9LH.